The possibilities are endless! Just be sure the item is on brand and appropriate for the specific event you are hosting. For example, a branded koozie fits in well at an outdoor BBQ, but maybe not a seated dinner. Every event needs good entertainment! Include some games and experiences that require a donation in order for an attendee to participate. This can range from a standard raffle to a karaoke contest that requires a donation to enter. Our favorite tool to facilitate these games is DipJar, of course! Check out a few fun examples here and here. The "free stuff" a donor receives after making a contribution doesn't have to be a physical item! Think outside the box for more abstract perks. 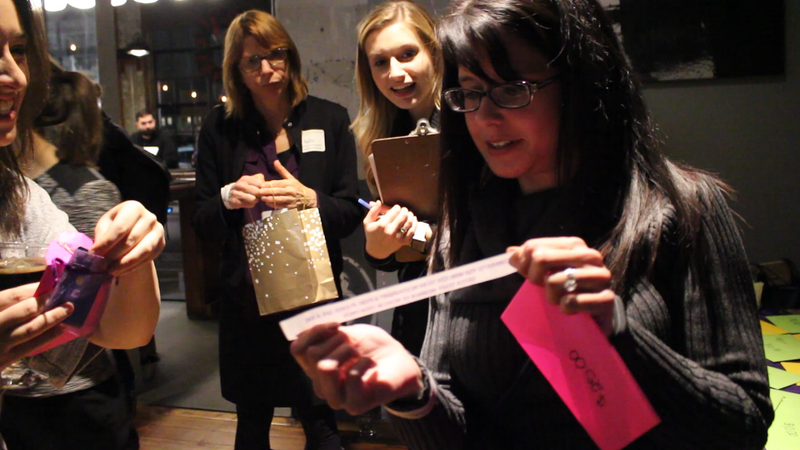 One great example is letting on-site donors skip the coat check line at the end of the night! People love to be recognized for the support they are giving to a cause! Find a way to recognize on-site donors in an appropriate way based on the feel of the event. This can look like anything including a leaderboard with live updates, different colored pins based on donation tiers, or even a shout-out over the microphone! Another thing that can inhibit donors is the feeling that they don't have a donation option that meets their needs. Make sure to always accept cash, check, credit card, etc. However, still try to cut down on friction at the same. Clinton of Daraja Children's Choir always includes three different donation tiers. This keeps the process simple while still providing the feeling of flexibility and choice for the donor.